Amidst all of the talk surrounding the death spiral of traditional retail, Stitch Fix’s IPO has the fashion & apparel world in a frenzy. Since its launch in 2012, the personalized fashion delivery service has not-so-quietly built an impressive business of nearly $1 billion in annual sales today. But when they raised their initial Series A back in 2013, most VC’s were skeptical. While there were a handful of subscription e-commerce successes, the vast majority had (and continue to) fall by the wayside due to overcrowding and unsustainable marketing costs. That success is a credit to Katrina Lake, Stitch Fix’s founder & CEO, for building an incredible product, team and infrastructure around her. But the untold story is in how they built a scalable marketing engine with strong customer acquisition metrics. So what can every marketer learn from Stitch Fix’s rise out of an ultra-competitive market? When you read their public filing, Stitch Fix clearly wants you to know they are a technology company first, retail company second: there are 64 mentions of the phrase “data science” in their S-1 alone. They even publish regular blog posts about the algorithms they work on to recruit engineers. 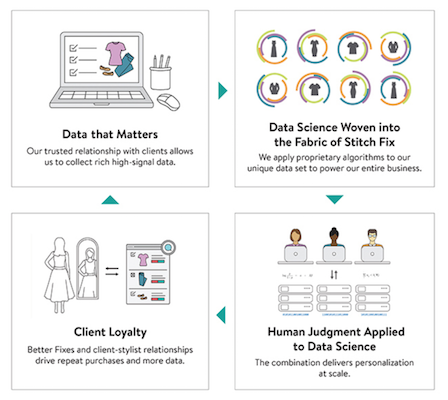 The secret sauce, according to Stitch Fix, is in the “85 meaningful data points” it knows about each customer which predict clothes each customer will want, curated by a team of 3,400 stylists providing a human touch. 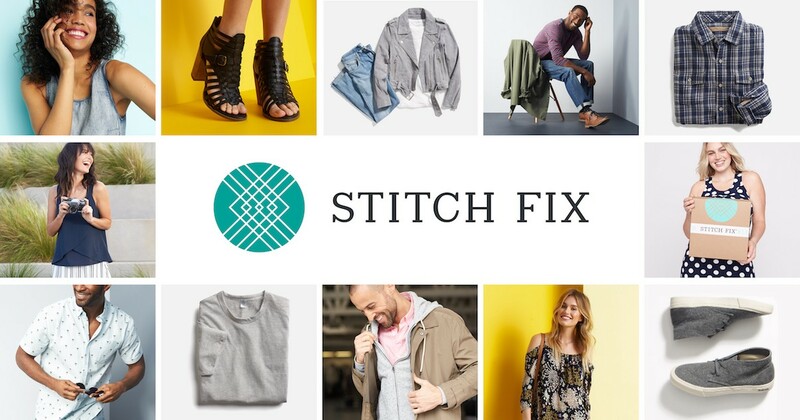 Stitch Fix is on track to spend over $70 million in marketing this year, with experts estimating that the vast majority is being spent on Facebook ads and other hyper-targeted digital channels. And what is even less publicized and more of a secret than their “secret sauce” is how they’ve applied that same personalization framework to customer acquisition. But what does personalized marketing mean to a company like Stitch Fix? Personalized Content (the hard part): Create content personalized to each custom audience — as most paid marketers know, having the right image/video asset determines 85% of that ad’s performance, so it’s important to find a creative asset that will have the most influence over that particular audience (e.g. Midwestern moms should be the ones advocating to other Midwestern moms). However, this is a daunting task for most brands. In order to create enough diversity of content to personalize to hundreds of audiences, you’d need to make thousands of images + videos every single month! Testing & Experimentation: Test multiple variants of creative asset and text copy across each ad type, channel and audience segment. Use tools like Nanigans or Consumer Acquisition to automatically do multi-variant testing. Content Optimization: Once you’ve seen the best performing creative / channel / audience combinations, now you’ve got something to work with. Investigate the highest performing images and videos to understand their nuances: what about the style or messaging particularly struck a chord with this audience? Then use those learnings to create the next wave of content so you’re always improving the performance of your paid ads. Want a snapshot of the level of complexity Stitch Fix is running on its Facebook ads? Check out this feed of over 1,600 ad variants on Bigbigads, the online ad tracker. Here’s the problem: most brands simply do not have the internal resources to create thousands of images and videos every month to personalize every ad they’re running and keep up with saturation. But there’s good news! Because of smartphones and social media, there are over 1 million content creators to augment your creative teams and produce a huge volume and diversity of content for your brand, ranging from photographers, video graphers, product experts, bloggers and more. With the right process, you can build your own community of creatives and a data-driven strategy to rival even the most sophisticated brands. Good luck! Eric Lam is the CEO of AspireIQ, the leading content generation software for digital marketers with thousands of content creators and over 200 clients like Hello Fresh, GrubHub and MeUndies.